This is a copy of the E Card I send to all members. When I receive emails informing me of my team leaders achievements. Example of SFI Email Sent! LaVerne Christian is now a BTL! I am so proud of your achievement reaching Bronze Team Leader Already. I love it when I see members progressing with a Hiss and a Roar. It shows you see the Big Picture. I love the new look with our badges. It now shows what we achieve monthly. Duplicate all correspondence you receive from me ready to share with your team..
“My Mission is to Show You How To Transform Your Home Business Online. Be sure to View My SFI Leadership page for tips and ideas.. MOST Important! Set your leadership page up then share your link with all your team. Communication is the KEY! Some of my CSA Reassignments are celebrating 15 – 18 years with SFI. YES we all saw the Big Picture with SFI. Setting our Long Term Goals. I am heading into my fifth year with SFI. “Win Win Situation” Creating quite the snow ball effect as your business grows larger day by day, month by month, year by year. By learning to create your own lead system by following The SFI Program Daily. You can then co-op that system with those you refer into SFI for maximum leverage. Yes, support is critical, but lead generation is the life line of your business. Register FREE to receive my SFI boot camp training series. One of the major benefits of building an international business is you’re more insulated from natural and man-made disasters. View my Team Forum Threads. Be sure to introduce yourself and ask any questions. Is that many new affiliates become inactive shortly after signing up. Imagine if I had had the same attitude and given up. I would not be generating the great income I receive with working online today. Set the foundation for your new relationship, and get your new affiliate off to a great start! Welcome him/her to SFI right away and offer your guidance and support. 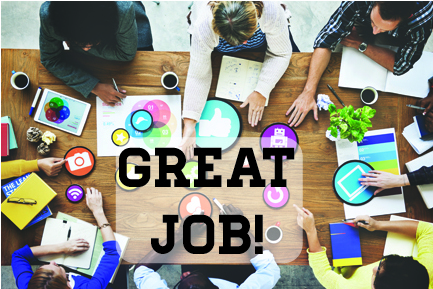 Your enthusiasm and attention is a VITAL component of a successful business and could make all the difference for your new team member! When you go to send your next E Card. Check your message below that all new members will receive when they sign up. Welcome to SFI I am in my 5th year as a successful gold team leader. HOW did I achieve this? I did not stray wasted my money. INSTEAD I invested in T Credits locking in my Auto Renewal Monthly. Then locking into the Builder Bundle teaming it with the big O when it launched. I went and cancelled a lot of upgrades with sites I was using for advertising. Saving myself a lot of cash. As now with the builder bundle I receive random new PSA and CSA members on auto pilot. My earnings grow larger month by month with all the new CSA reassignments I receive monthly. Imagine your growth in a years time. Expectations: Have you been stuck in the "something for nothing" mindset? Treat SFI as a real job where you have to turn up to work. BUT instead of leaving home you simply walk over to your computer for the hour you are employed. Opt in in preparation for when you meet the other requirement(s) for being a DD. 1) Keep always in mind and refer back often to the Launch Pad Training series. 2) With the above in mind, follow carefully your to do list every day: Turning all Red Tabs Green. 3) Daily be sure to read the SFI News Letters Plus Participate with the Forum conversations. Register to receive my SFI Boot Camp Training Series. Sent all unwanted emails to your spam folder so you never miss any important updates about SFI. Change your shopping habits by purchasing via your own on line Triple Click Store. Supporting local ECA within your community. This is OUR store and by purchasing your shampoo, vitamins, electronics, clothing, gifts...etc you are in turn, supporting YOUR OWN business. Start purchasing what already is added to your house hold budget. Earn commissions by promoting my ECA Store. Read my Leader ship Blog and Tips for SFI. end of the month to earn these commissions. THEN CLICK THE SAVE TAB. Lets Start Log into SFI click the MOVERS Tab Above. A Page will appear listing all your CSA And PSA Members. CLICK the name of the individual. A Page will appear with all their Information. At the bottom far right click View V P Ledger.Here you can see if members are participating daily. Share your thoughts with them. CLICK the PLANE. I have circled the icon in RED. A Page will open. Where it reads Select E Card Category. CLICK THE V Drop down box a select will appear. Hover the mouse over the card you wish to send. View the blue line showing I have selected to send the Great Job E Card. THEN click the blue button initiate. Affiliate E-Cards provide an unlimited number of ways to welcome, inform, congratulate, and recognize your affiliates. E-Cards are free to use, but there is a sending limit of 200 per day, and you may not send any one affiliate more than one card a day. Note: Designs displaying a photo placeholder will be populated with the actual SFI account photo of the recipient upon choosing the card. If no card shows TRY AGAIN AT the right click the drop down box and initiate. When the page appears Do not Stress if it takes a couple of attempts. Practice will make perfect. Click the card you wish to send. A Page will now open to add your message etc. Enter the greeting and content of your message below and the preview on the right will update to give you a preview of how your message will look to your recipients. ~FIRSTNAME~ will be replaced with your recipient's first name. At the bottom of the page you can click the DEFAULT Tab THEN the message will stay THERE. Find List of Posts I send Via E Cards!